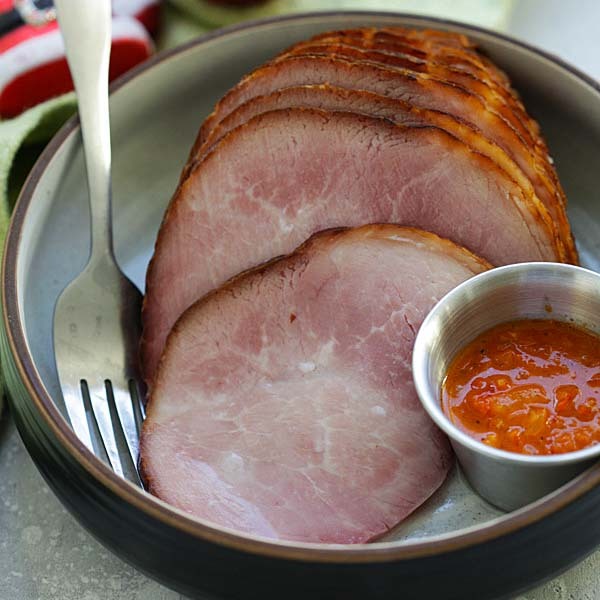 Piri Piri Holiday Ham - Jazz up your holiday ham this season with some spices of piri piri sauce. 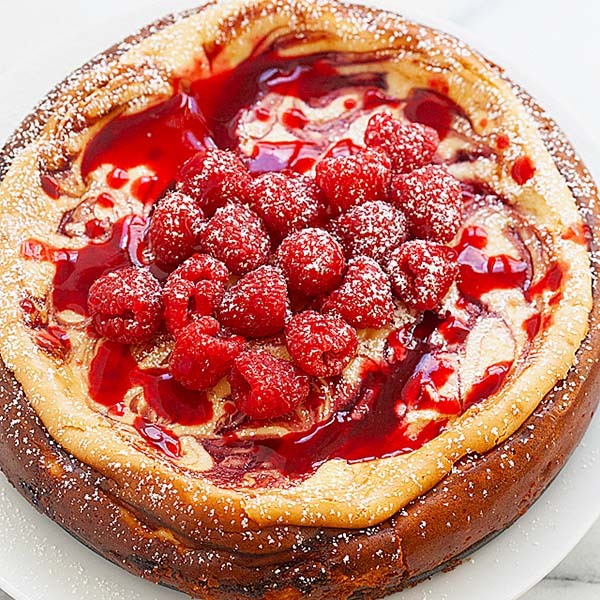 This recipe is a crowd pleaser. I love spicy food and I love to enjoy spices, condiments from around the world. One of my favorite sauces that packs a lot of flavors and heat is piri piri sauce. I love it on my protein: chicken, fish, steak, etc. With the holidays just around the corner, I decided to pair it with ham, and it is a wonderful pairing. While I love my spicy honey-glazed ham, I wanted a stronger heat and kick for this year’s menu. Piri piri sauce works magic on the ham, giving it an exotic flavor and turn your ham into something that you just won’t stop eating. Another plus, as it’s freezing cold outside, the piri piri sauce will warm up your body in a nice way. So, try my Piri Piri Holiday Ham recipe this year. It’s very easy and you can keep the sauce in the fridge and serve it on other protein post holidays. Preheat oven to 350F. Wrap the ham with aluminum foil and bake for 1 hour. All all the ingredients in the piri piri sauce in a blender until fine. Transfer to a bowl. Let stand at room temperature. Remove the ham from the oven and spoon the Piri Piri Sauce over the ham. Serve immediately. All photos and recipes on Rasa Malaysia are copyright protected. Please do not use the photos and recipes without prior written permission. If you wish to republish this recipe, please rewrite the recipe in your own words instead of copy and paste and link back to //rasamalaysia.com/piri-piri-holiday-ham/. Thank you very much! Simple to make and the most importantly, it’s spicy. Great for Christmas time. Thank you.